It was the sin of pride which first led Eve to eat of the forbidden fruit. In Genesis we read, “Then the serpent said to the woman, ‘You will not surely die. For God knows that in the day you eat of it your eyes will be opened, and you will be like God, knowing good and evil.’ So when the woman saw that the tree was good for food, that it was pleasant to the eyes, and a tree desirable to make one wise, she took of its fruit and ate. 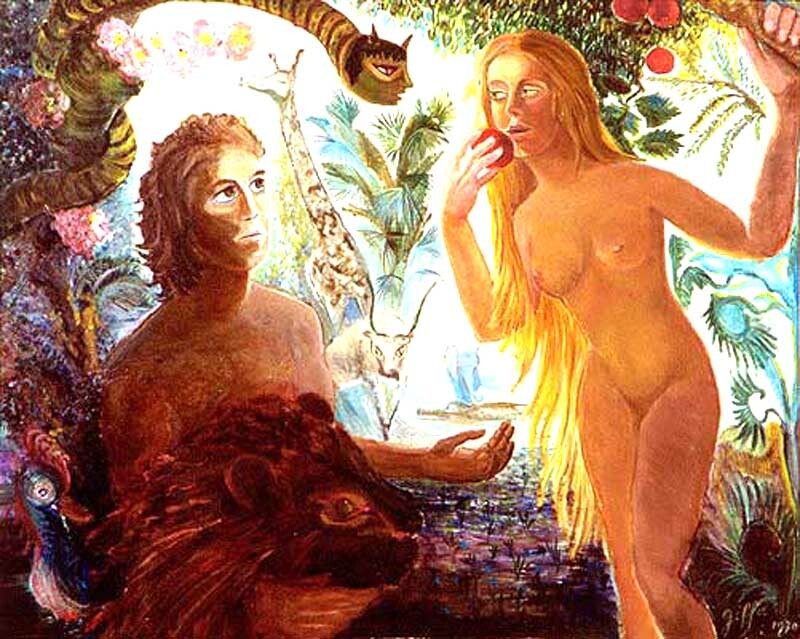 She also gave to her husband with her, and he ate.” And who do you think was that serpent of old who first introduced Eve to this sin of pride? It was none other than the devil himself, eager to share his condemnation with others. Sin Of Pride – Preoccupation With Self The sin of pride is a preoccupation with self. It is thus very fitting that the middle letter in the word is “i.” Pride is all about “me, myself, and I.” So even as the word “pride” is centered upon an “i,” the sin itself is also centered upon “I.” We read of Lucifer’s fall, “How you are fallen from heaven, O Lucifer, son of the morning! How you are cut down to the ground, you who weakened the nations! For you have said in your heart: ‘I will ascend into heaven, I will exalt my throne above the stars of God; I will also sit on the mount of the congregation on the farthest sides of the north; I will ascend above the heights of the clouds, I will be like the Most High.’ Yet you shall be brought down to Sheol, to the lowest depths of the Pit.”8 Satan’s enmity against God began with “I”. And so it is with us. If you are preoccupied with yourself, you are suffering from the sin of pride. One way to determine whether or not you are preoccupied with yourself is to evaluate your motives. Take the pursuit knowledge for example. If you study hard because that’s what the Lord wants you to do and you’re being obedient to Him, that’s good. That’s obedience to God. Or if you study hard because you want to become a teacher so that you can edify others and help them to grow, that’s good too. That’s love for others. But if you study hard solely to amass knowledge for yourself, just so you can say that you know more than everyone else, that’s bad! Your focus is upon yourself and your own glory. That’s preoccupation with self. That’s pride. And if this is the case for you, not only are you already suffering from pride, you’re setting yourself up to be totally consumed by it! The Apostle Paul wasn’t joking when he said, “Knowledge puffs up, but love edifies.”9 And anyone who is ever been there will tell you, knowledge for the wrong reasons (i.e. personal glory) will lead to a proud heart and enmity against God. Can we recognize our own sin of pride? Sometimes pride takes stealthy forms. Makes it tough to see in the mirror. May be we should send this to Sister Simone Campbell, GFC. You think it might make a difference?